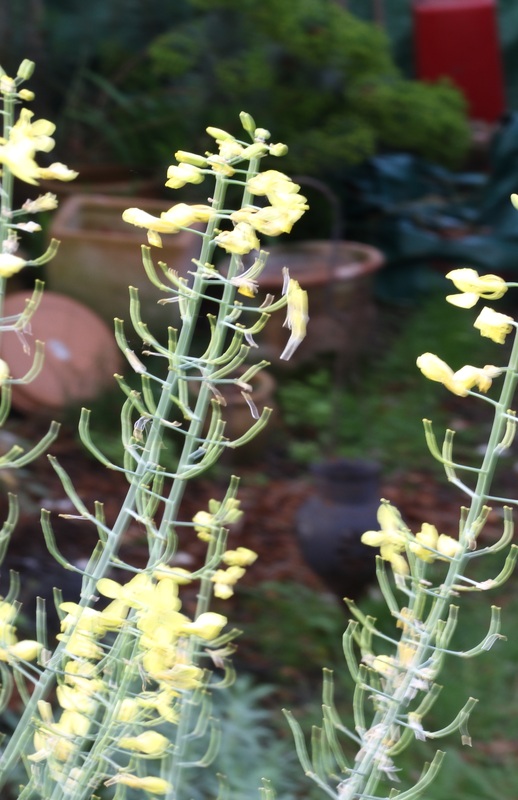 At the beginning of the month the Kale plants were awash with flowers and activity. The end of the month and the bees and buzzies have done their work and the flowers are nearly at an end. The flowers dried up and were scattered around the garden, and left the plants looking rather straggly and sorry for themselves. What has started to happen this week is that the seed pods have started to form – they have literally started to fatten up. To me they seem slow to form, but maybe that’s nature’s way, not rushing headlong. I’m now wondering how long they will take to fully form and then dry…. patience is required here!